If you’re not using feedback as a method of making decisions on the direction your business is heading, you are missing out on a huge resource for making improvements. 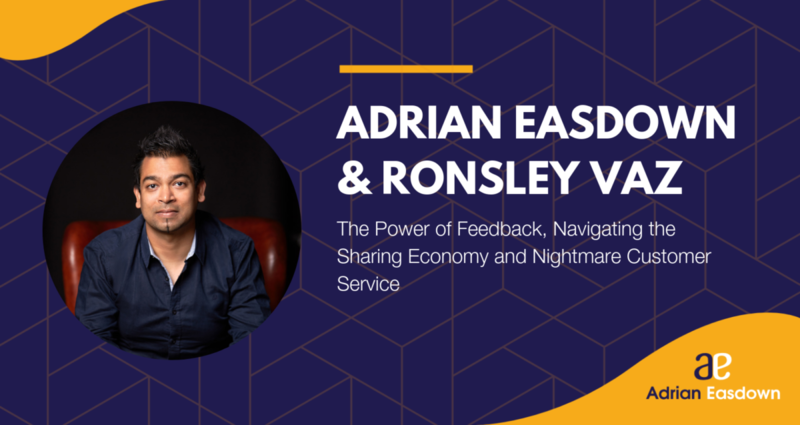 Each Monday, join Adrian Easdown as he has enlightening chats with successful folks in the hospitality industry around Australia. If you’re involved in anyway way with caravanning, running a restaurant or working with any other sort of hospitality-based business, you’re going to love this show. This week’s episode sees me going on Should I Start a Podcast with Ronsley Vaz, a good friend of mine. We don’t just stick to the accommodation industry — we also talk about our journey as entrepreneurs and personal goals for the future. Ronsley and I went over everything from what we would do with six months to live to pet peeves while travelling. But one great point of interest was how the first impression, as an accommodation-based business, is the most important part of the customer service experience.